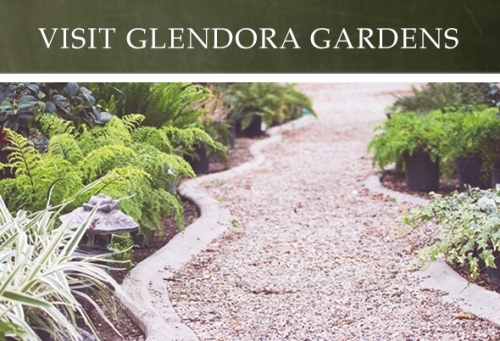 Glendora Gardens would not be who we are without you, our amazing customers! That's why we hope you'll join us this Saturday, April 6th for our third annual Spring Sale & Customer Appreciation Day! 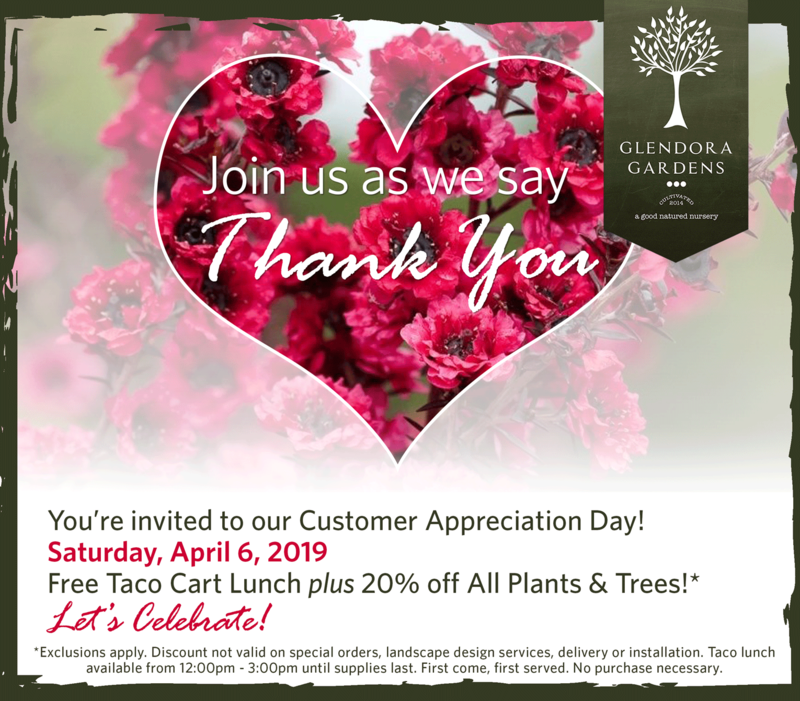 We'll be serving up a FREE Taco Cart Lunch, plus you'll receive 20% off your purchase on all plants and trees! Bring the family, and bring your gardening questions too! Our knowledgeable staff will help you get all the info you need for a successful start to spring. Free Taco Cart Lunch served from 11:00 am - 3:00 pm (while supplies last). We hope to see you here!